Our primary goal is to provide enthusiastic, knowledgeable, and safe SCUBA instruction while promoting environmental awareness and eco-friendly dive practices. We offer training and instruction in all things SCUBA. Whether you're looking for group or private lessons, EcoDivers offers National Association of Underwater Instructors (NAUI) certification from Snorkeling and OpenWater SCUBA through Assistant Instructor. We are located in Spring Hill, but can provide our services virtually anywhere in Florida. Check our courses link to find out more information on the courses we provide and how to sign up. Check our photos link to see the latest photos of our most recent classes, graduates, and diving adventures. 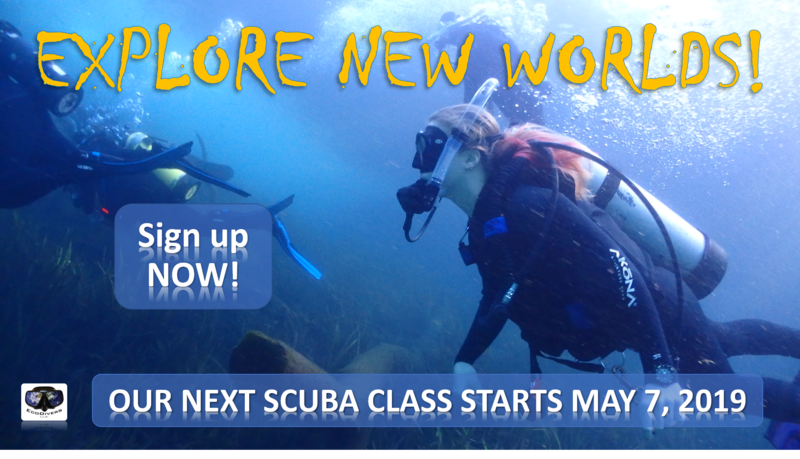 The calendar link provides dates and times of upcoming course offerings and dive trips. Want to find out more about EcoDivers, the owner Mark Butler (NAUI Instructor), or contact us? Simply click the about us link. EcoDivers L.L.C., http://www.ecodivesite.com. All rights reserved.